Skoda India has officially launched the Skoda Fabia Scout in India on 24th April 2012 without any clue to media that it was going to be launched. 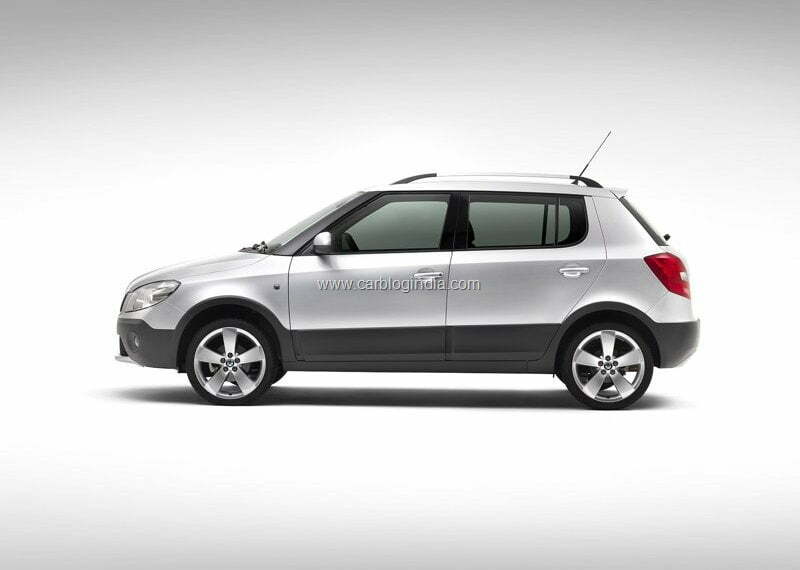 The Skoda Fabia Scout has been in talks for quite some time now and we have reported you back in November 2011 that Skoda Fabia Scout will be launched in India in year 2012. 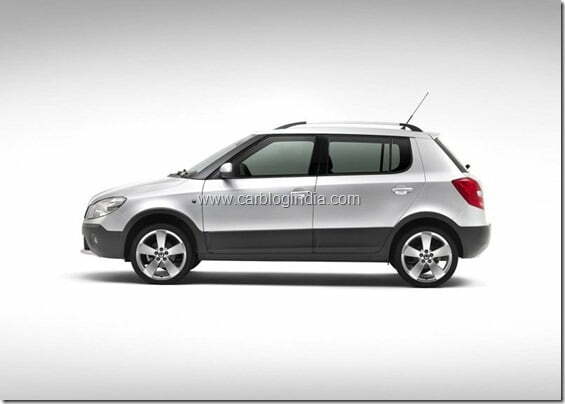 Skoda Auto India has priced the Skoda Fabia at Rs. 6.67 Lakhs for the 1.2 Litre MPI Petrol variant and Rs. 7.96 Lakhs for the 1.2 Litre TDI CR Diesel variant both prices are ex-showroom Maharashtra. 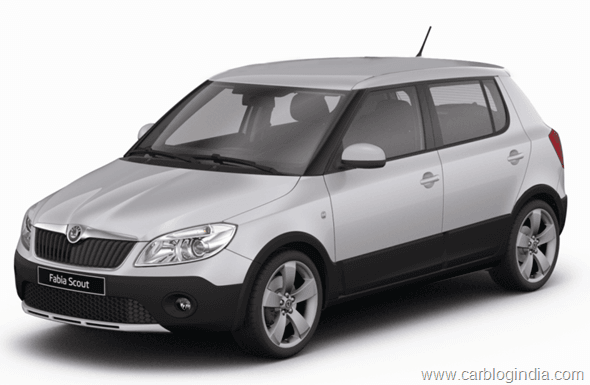 Fabia Scout is a premium offering with high end features and is targeted towards high end hatchback users who are willing to pay a premium for a premium hatchback with high end features. Its USP is the high end features, spacious interiors, high interior quality materials etc. 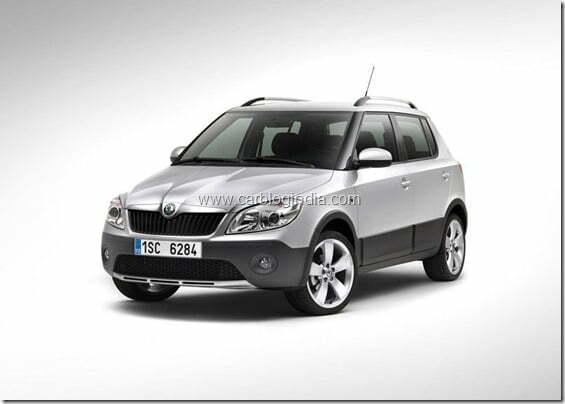 Skoda Fabia Scout is longer than other variants of Fabia by 32 mm while it is wider by 16 mm and higher by about 35 mm. 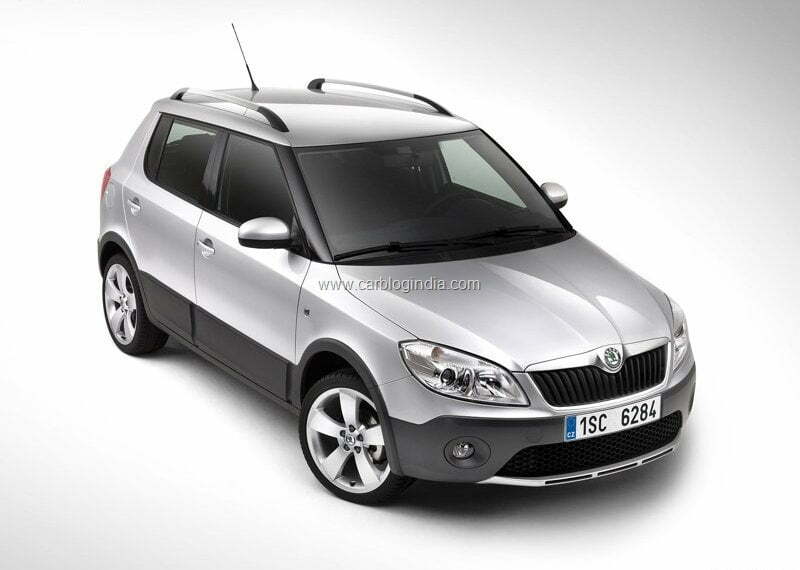 The overall dimension of Skoda Fabia Scout are: Length 4032 mm, Width 1658 mm and height 1557 mm. It rides on large 15 inch alloy wheels and remaining technical specifications are same as other variants like the wheelbase, ground clearance etc. Skoda Fabia Scout comes with a 1.2 Litre MPFI Petrol Engine and a 1.2 Litre TDI CRDI Diesel engine option both of which come with 5 speed manual transmission option only. The 1.2 Litre MPI Petrol delivers 75 PS of peak power with 110 Nm of torque while the 1.2 Litre TDI Diesel engine delivers 75 PS of power and 180 Nm of torque. The Fabia Scout does look much more sporty with the full body side cladding which gibes it a SUV like visual appeal. 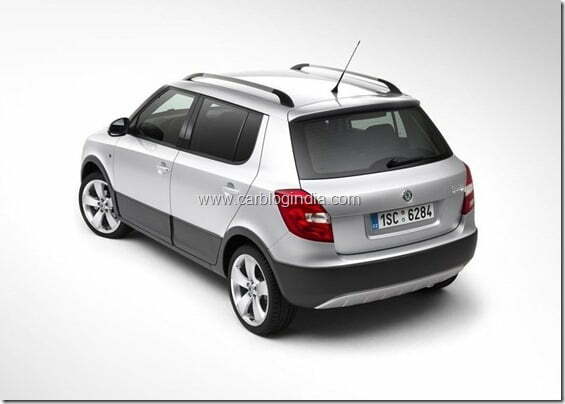 It does look like a compact Crossover with the visual elements added to the Fabia. It offers sturdy and robust build quality of Skoda coupled with sporty visual appeal which sets itself apart from the segment. Fabia Scout will be available in only two colour options – Brilliant Silver and Cappuccino Beige and both these colours come with ivory fabric interiors. Fabia Scout goes on sale in India starting April 24th 2012 at the below prices. To get latest updates from us, do sign up for our free email newsletter and like our official Facebook Page. Check out some more Skoda India news here.